Many of our customers are singers and arrangers. The singers share with us a desire to get better so we can sound - at least in the shower - like the pros. Arrangers, especially those just starting to tackle the problem, need all the advice they can get. Here are some products designed to improve your vocal technique, ranging from Singing 101 to advanced exercises, along with how - to ' manuals for building a cappella arrangers. 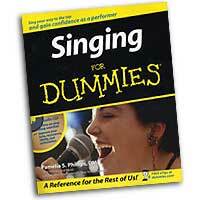 There’s a reason those “for Dummies” books are so popular – it’s because they’re so useful. If you’re the shy type, scared to open your mouth and show how little you know, invest in one of these beginners’ books, CDs and DVDs, and open your mouth to sing proudly! 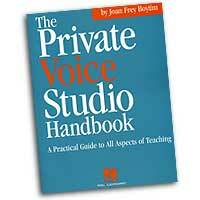 One major complaint of vocal instructors is those students who come to them with bad habits that they need to unlearn. With the products we have here, in our “Basics for the Beginning Singer” category, you can skip that whole learning-bad-habits thing and just learn how to do it right from day 1. How could that be a bad thing? 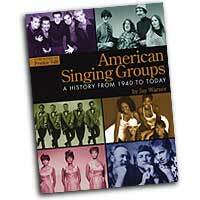 In the days of American (and other national) Idol, everyone wants to learn how to sing. If you don't have the time, money or access to expensive training, the next best (and we do mean the very next best) thing is self-education. With materials from organizations like The Musicians' Institute, the famous Berklee School of Music, the Brighton Institute of Modern Music, The Westminster Vocal Institute, and some from international-caliber independents who have worked with many famous and less-famous singers over the decades, these books let you learn from many of the best, and set you on the path to being the next Kelly Clarkson instead of the next William Hung! We can't all take private lessons with famous, world-class vocal coaches and instructors, but we can all learn from them. This is an all-round package area - you can watch demonstrations, listen to performance examples, and when that's all done, pick up one of the books and find out the secrets, the thoughts, behind the how's and why's. Some of these amazing instructors and teachers are sharing just about everything you need to know, from performance basics to understanding music industry contracts. 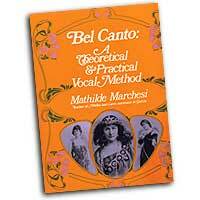 If you want to sing professionally, or even just well, you need these lessons. Some people wonder whether spontaneous creativity is something you can learn. If these spectacular instructors are anything to go by, you absolutely can. Whether it's scatting or improv, the world-class instructors we've got for you here will share their knowledge and you'll have a great time learning it. Most of these titles are CDs and books packaged together, so you can listen to the magic while you read about it. Like any instrument the voice must be taken care of properly and unlike other instruments your voice is the only one you will have nor can you take it to the shop to get fixed. One must also do proper warm ups and exercises and to be careful not to strain the voive however sometimes things go wrong. We have here a wide selection of material from experts in the field who will tell you how to protect your voice and how to fix it if you are having difficulties. What many singers don’t realize is that there is more to being on-stage than what comes out of your mouth. Performance includes everything else – from sound check and microphone technique to your facial expression and your body language. A good performer learns to take care of their body and their voice, how to avoid burning out or doing a stale, “phoning-it-in” performance, and how to develop that healthy positive mental attitude that makes each performance that kind of special event the audience members will remember for years. Some top instructors and coaches have shared their wisdom in how to accomplish all that in the books, DVDs and CDs we have here – so why not partake of their wisdom? We’ve all had that music teacher or choir director who made music fun for us. We’ve admired these people, and their knowledge. They had that spark we wanted to share… and here, we can. 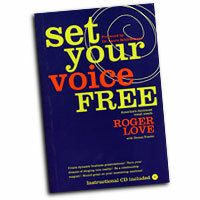 Some of the most important things for a healthy singer to know about producing a clear, strong and reliable voice are here in these books – and more importantly, they will teach you how to teach it to others. Whether you’re teaching adult sopranos or kids, teaching sight-singing or Jazz, take a wander through this section and enjoy. Have you ever wanted a private, one-on-one, with some of the top instructors out there? Well, then, this is the category for you. We've got voice technique, theory, vocal workouts and warm-ups, and entire workshops for your group. 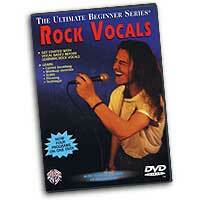 Whether you're looking for basic rock vocals, breathing technique, what exercises will keep your voice sounding its best, or how to develop a singer's ear, in the videos & DVDs we've got here, you'll find the instruction you're looking for. If you weren't into harmony, you probably wouldn't be on the Primarily A Cappella website, so we'd be preaching to the choir (pun not intended) if we tried to explain just how beautiful, how wonderful, harmony singing is. So if you want to learn how to do it right, well, you've come to the right place! Read the theories of Western harmony, learn how to harmonize in multiple musical styles (contemporary, barbershop and more), and then hear or watch it on accompanying tapes & CDs/DVDs. If you've ever wanted to learn the difference between transcribing someone else's arrangement and coming up with your own expression of creative genius, look no further for your inspiration. If you've wondered what U.S. copyright laws cover arrangements, we've got that for you, too. 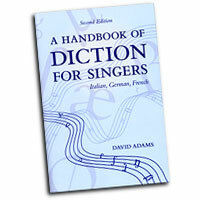 Even if you simply wanted to learn proper music notation and the right way to create a music manuscript, it's in here. With these books & videos, absorb the lessons of more than a dozen award-winning arrangers here, covering everything related to the act of setting music down in writing. Bluegrass and Old-Time harmony vocals are usually: a lead part (the melody); a tenor (high); plus for trios a baritone (usually just below or above the lead), and for quartets a bass part (right at the bottom). Generally, men’s vocal ranges are between G above middle C and the G two octaves below that; of course only a very few men have that whole two octaves – someone with a high range will sing ‘tenor’ and with a low range will sing bass – lead and baritone somewhere in the middle. Within a group, you are likely to find enough variation; many classic tenor singers (e.g. Bill Monroe, John Duffey) also sang lead – hence the ‘high, lonesome sound’. If you’re a singer, then probably at least once you’ve wished you could sound like those guys on the radio… the ones with the albums that sell hundreds of thousands of copies and tour the world. Well, THIS is how you learn to sound just like those guys on the radio. These books, CDs and videos will teach the aspiring rock star how to emulate the greats, with tips on everything from microphone technique to the benefits of licorice root. Here, you’ll learn about the full importance of diet, posture and breathing techniques, gain insights into training, embellishment and sight-reading, plus the consequences of liquor, cigarettes and coffee, and so much more. Have a seat, pull up a book, and explore. Opera is part of the Western classical music tradition and to sing opera is one of the most challenging yet rewarding styles of singing one can perform. To be a true professional takes years of training and professional coaching however the amateur or aspiring singer who enjoys belting out an aria can learn a lot and have fun without dedicating one’s whole life. We offer here some books of advise from some of the most famous classical singers along with time-proved methods and exercises that have been helping to train classical voice for many years. There’s so much to learn in the books, DVDs and CDs here, it’s almost too much to go into, but we’ll give it a try. The subjects include: syllable articulation, accents, ties, octave slur, imaging, shading, squeezing notes, vocal range, major and pentatonic scales, tempo, phrasing, call-and-response, head voice, vocal maintenance… phew! And that’s just the beginning. 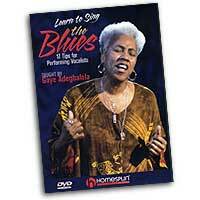 With award-winning instructors taking you from the very basics to a comfortable skill level, if you’re interested in learning to enjoy your bluesy side, c’mon over and pull up a DVD or book. 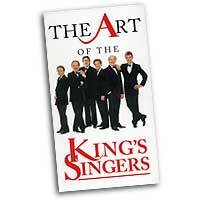 A good choral group makes it all sound so easy, as they sweep you away with their music. 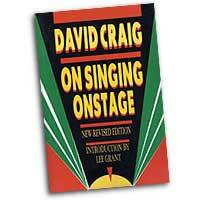 With these instructional and developmental works, your choir, too, can fool the audience into thinking it's a breeze. From the basic beginnings of forming the choir, up to the complexity of gaining that world-class sound, in every genre of choral music, it's all here, in book, video & DVD format. Come on, ‘fess up. You want to be able to sing like Destiny’s Child, Seal, Kanye West or one of the other big contemporary stars. So why not learn how to do it? 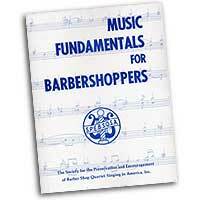 Whether it’s ear training, sight-reading, warm-ups and work-outs, or first aid for your voice, the skills you’ll pick up here will hold you in good standing no matter what kind of singing you do, and as an added bonus, most of these books have a special focus on contemporary music. 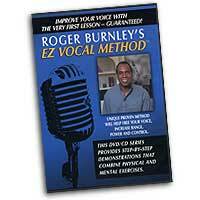 And the writers here have the chops to stand behind their work – why not learn from Bobby McFerrin’s vocal coach? Or maybe the Beach Boys’ coach? There's more to singing than the voice - the ear plays almost as important, if not as important, a role. So while you're training your voice, make sure you don't neglect the ear. These books, book/CD sets and DVDs are from renowned instructors and directors from the Berklee School of Music, the Musicians' Institute, The Westminster Vocal Institute and other prestigious organizations dedicated to making beautiful sounds. You can't go wrong with anything you find here, and you'll hear the difference in your work quickly. Have you ever seen someone pick up a chart and deliver an almost flawless performance on their first reading? Sometimes it's talent, but you did know that it's also a learned skill, right? And here's your chance to learn it. 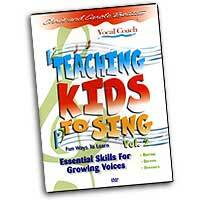 We've got books for teachers of primary and secondary-school singers, as well as those written for the adult singer. You wouldn't think sight-singing could be made easy, but that's because you haven't read these books (or listened to the accompanying CDs & tapes) yet. Sometimes overlooked by modern singers correct diction has always been considered of vital importatance in the performance of a song. These books and CDs will help all levels of singers to improve their interpretation of songs in many languages including of course the unique American diction. One of the hardest things a voice teacher has to do is to help a singer lose their bad habits, and we all know how well ingrained a bad habit can be. With the products available here, your kids will be able to skip the bad habits stage and go right into being good singers. What could be better? Without being so childish as to bore the kids, these works are aimed at teaching younger singers in techniques that work with the sweeter, tender voices of youthful singers. They cover the vast array of skills and techniques a choral director, conductor or teacher, with examples from some of the most prestigious children’s choirs from around the globe. You've heard the greats sing and wondered, "how can I sound like them". These CDs are one place to start. Whether it's proper warm-up technique, expanding your range, or simply learning how to breath while you sing, these instructional recordings cover it all. And we've got parts-CDs, too. Don't just read the arrangement, hear how the parts are supposed to sound, hear someone demonstrate what you're supposed to sound like. If that doesn't make the learning process simple and painless, nothing will. There are many ways to become a successful vocalist and having a wide repertoire of recognizable songs to which you know the lyrics and feel comfortable singing is a prerequisite. 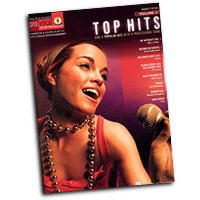 We carry a wide selection of songbooks for the solo voice almost all of which have an accompaniment CD included which can be a great help for singers wishing to widen their repertoire. Useful for both practicing and performing one doesn’t need to have an accompanist, let alone a whole band, to be able to deliver a song professionally. Many of the accompaniment CDs are enhanced and can be played in your computer where you can adjust pitch and experiment with different ways of performing the songs. Whether for auditions, events, parties or in your living room these books are a fun and useful way to improve your singing voice.